New Zealand and Australia experienced their warmest periods in the decade just closed since records began according to data released by NIWA and Australia’s Bureau of Meteorology. 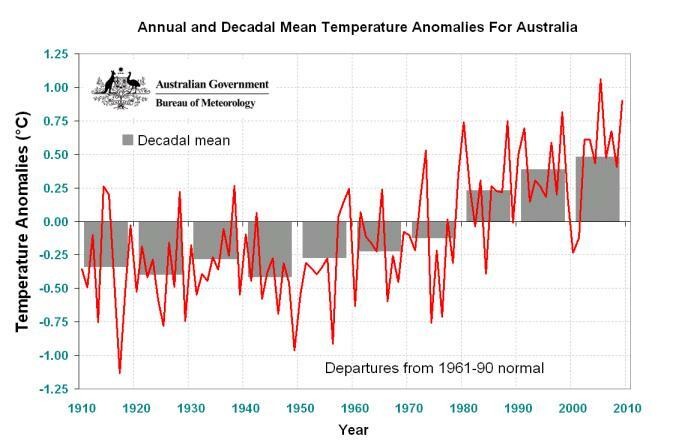 While 2009 was slightly cooler overall than the 1971 – 2000 average, says NIWA, the decade was still the warmest, followed by the 1980s, the 1970s and the 1990s, in that order. ’This result is caused by a combination of natural variability and a background warming trend,’ Dr James Renwick, NIWA Principal Scientist said in a statement. In the run-up to the Copenhagen climate talks, the World Meteorological Organisation predicted the decade 2000 – 2009 would be the warmest on record for the globe. The local results from New Zealand and Australia will be taken into account in the finalised WMO climate data for the decade.